*Missing original tag and box packaging. 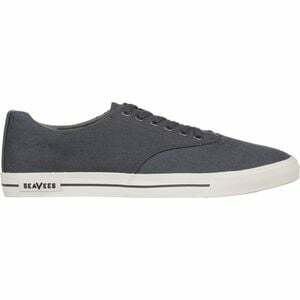 The SeaVees Men's Hermosa Plimsoll Standard Shoes are pumped with so much beachy vibes and classy style that they demand to be admired and worn under the sun. A soft, yet tough chambray upper with waxed cotton laces and a perforated footbed gives these shoes a comfortable feel that withstands multiple uses, and the herringbone rubber sole offers traction so youâ€™re able to show them off all over California.